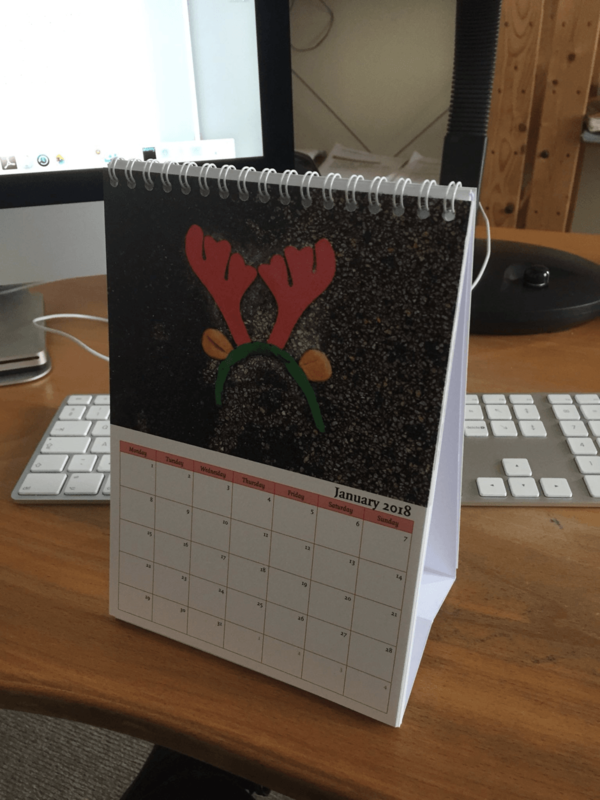 Calendars are a fantastic marketing tool, ideal as gifts and perfect for adding to your existing collections. They’re easy to create, affordable to produce and they look fabulous in any format. If you’re thinking about creating your own, whether it’s for a corporate gift for your clients or for personal resale, there are loads of reasons to create your own. If you need a little inspiration before you start creating your own, we’ve got the perfect solution… Check out some of our favourite customer creations right here! Why not check out our blog on getting started while you’re at it? It’s full of handy advice and key trends for 2019! Read it here. This absolutely stunning 2019 Calendar is by Liminial 11. The Lunar Sol Calendar features tarot cards for each month, ideal for getting you set for a spiritual journey through 2019. We’re loving the hand-drawn feel too, it’d look great anywhere! Check it out and buy your copy here. Know a cat lover? 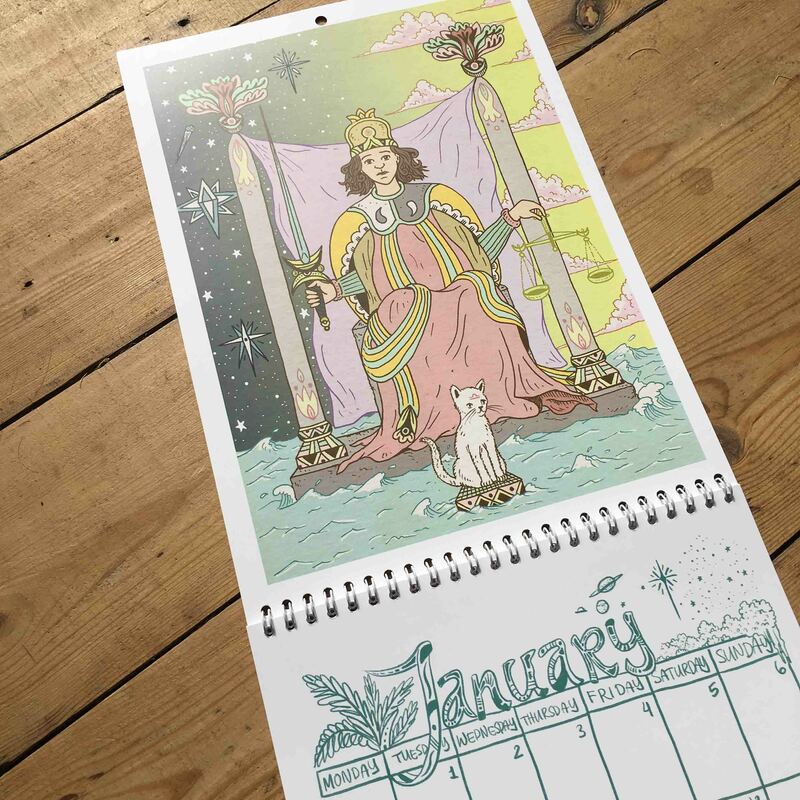 These ‘punderful’ Calendars by Katie Ruby Illustration are just the ticket. Plus, with her cover featuring the Pantone Colour of the Year – they’re bang on trend too. We love her cheeky inclusions of dates like ‘make your dreams come true’ day and ‘ditch new years resolutions day’. 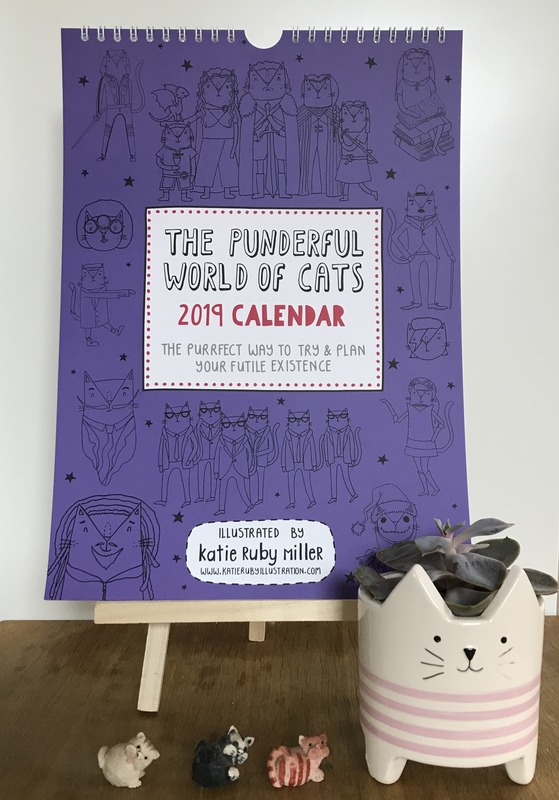 And, with each month featuring a different cat pun, you’ll never get bored of flipping through the year! Buy yours here! If you’re thinking of going photographic Ed Brown shows us how it’s done. Using bold wildlife images, taken over a period of 12 months, it’s hard to say which of East Sussex based Ed’s shots we love the most, but this Red Deer is definitely a strong contender! Printed A3 size in a Double Page Wall Hanging application, this is one calendra that wouldn’t be overlooked in the office. 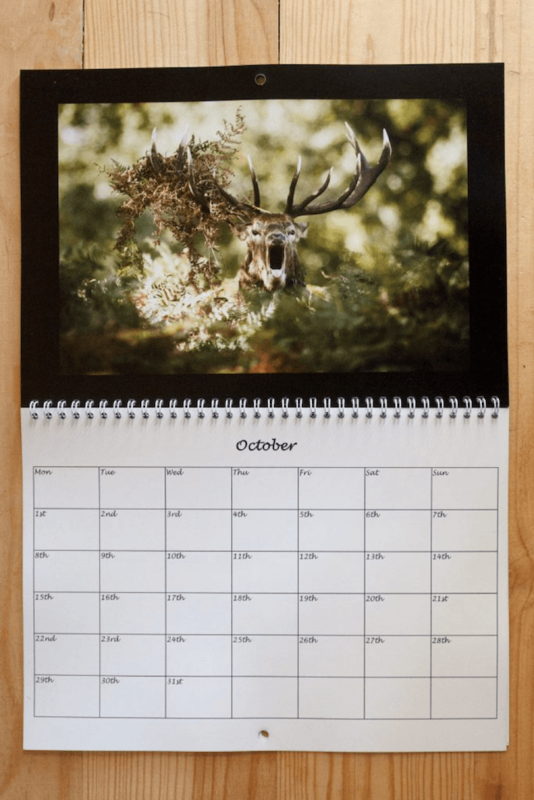 One of the great things about printing your Calendars with Printed.com is that you’re not limited to standard sizes of Calendar templates. 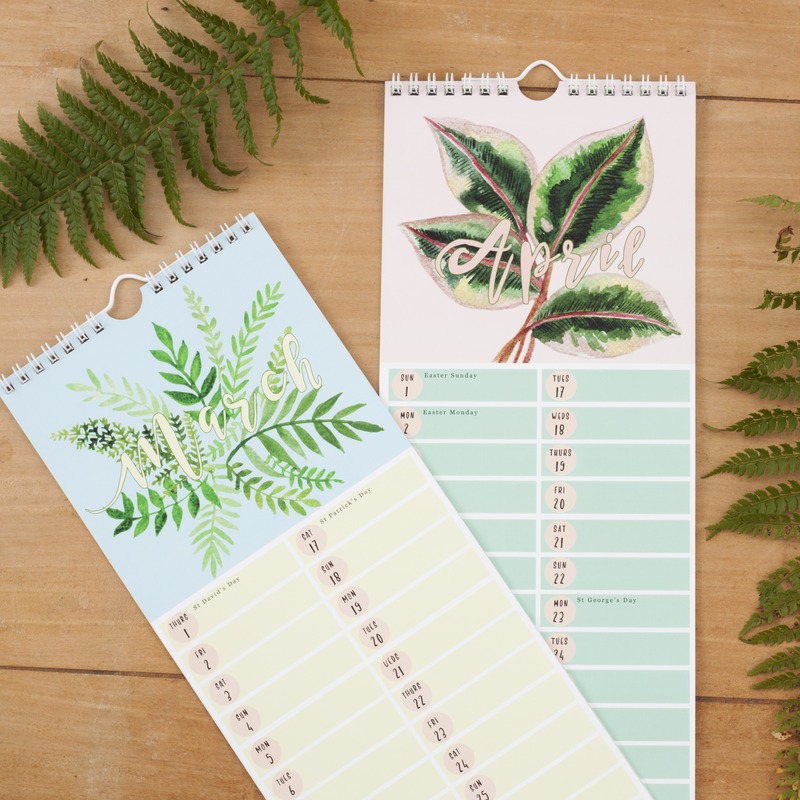 we give you the freedom to create your personal custom printed calendars however you like – with a huge choice of paper stocks, configurations, sizes, styles and finishes available. 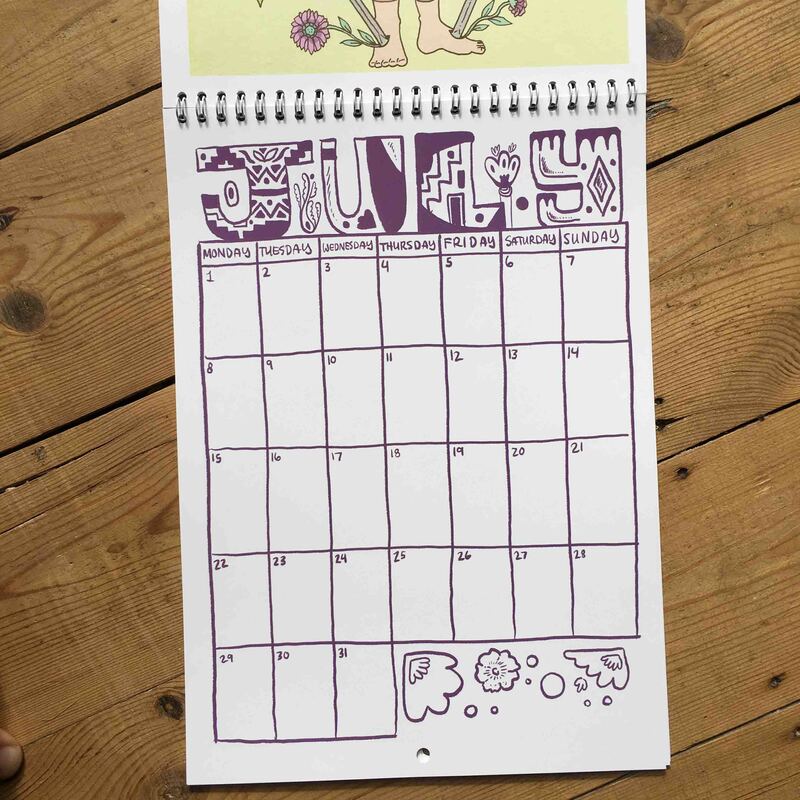 Little Paisley created two variations of out Thumb Cut Calendar, showing just a couple of ways you can customise yours! 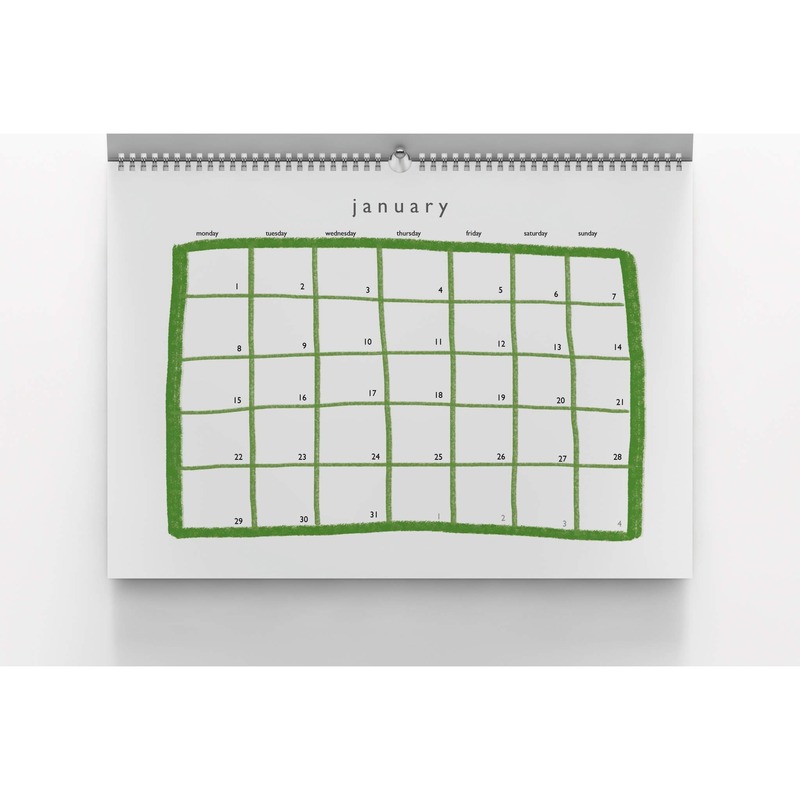 Corporate Calendars make ideal gifts, and SolisPress show us how its done with their Desktop variation. If you’re thinking of creating your own corporate calendars, do as SolisPress have done and make sure you keep your branding front of mind at all times. 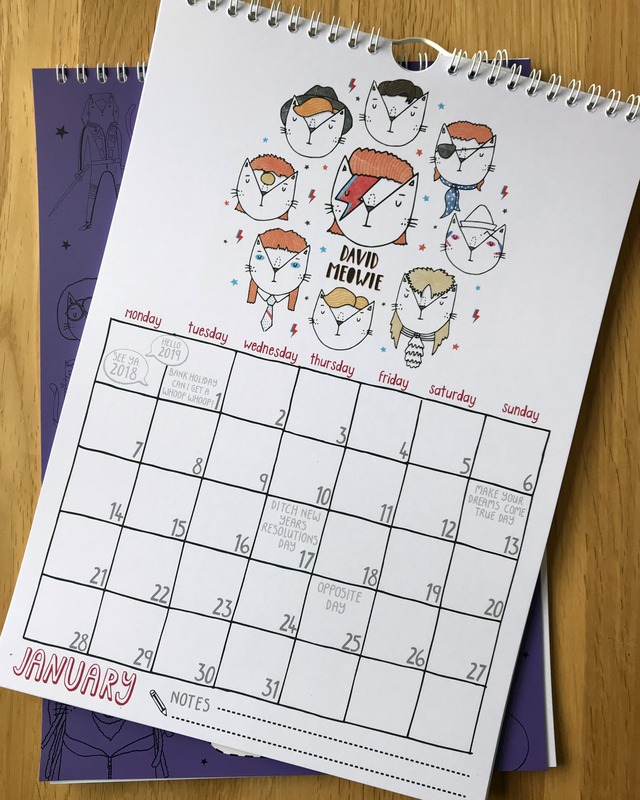 Katie Chappell created these gorgeously illustrated Calendars for 2019 in her unique, hand-drawn style. 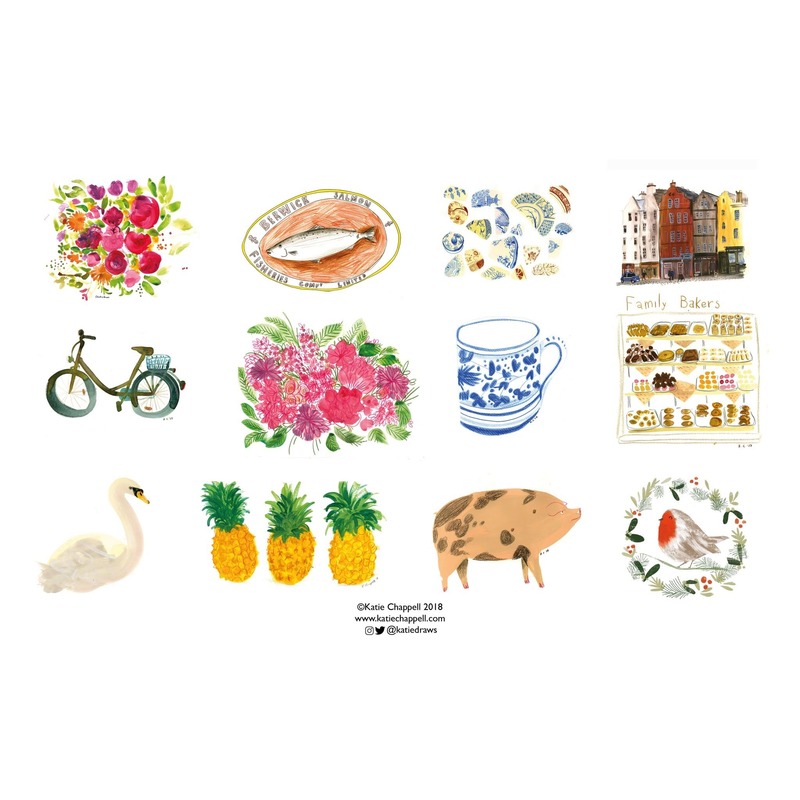 we love the simplicity of the designs, they’d look great hanging on a wall at home, or in the office! 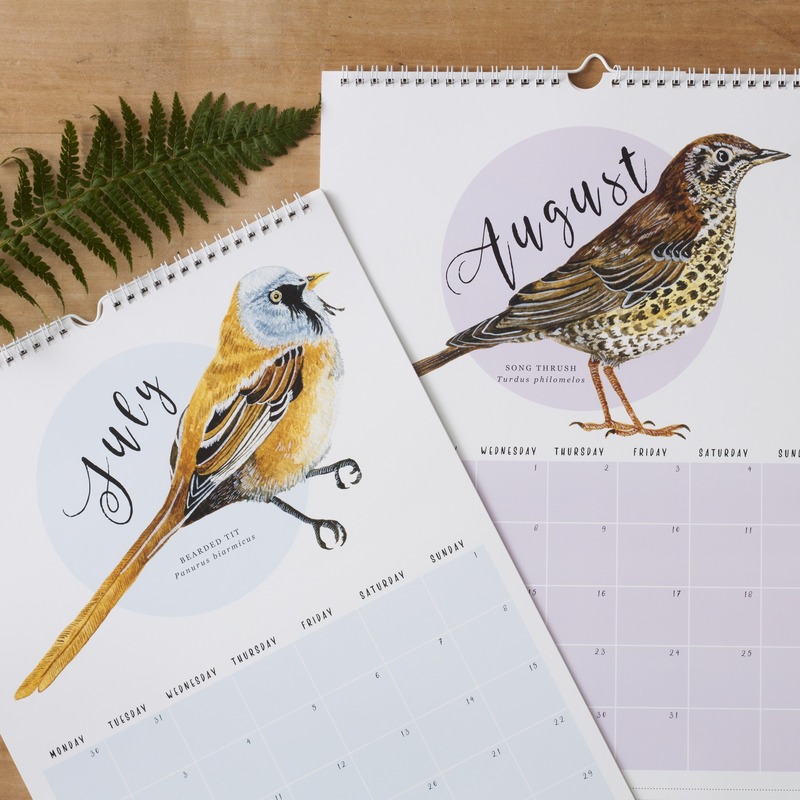 Her playful style looks gorgeous on her calendars – if you like what you see, why not check her out on Etsy? While you’re here, why not check out some other #ProudlyPrinted creations with our Colour Trends and Bespoke edition? Feeling inspired? Why not shop our range of Calendars now? 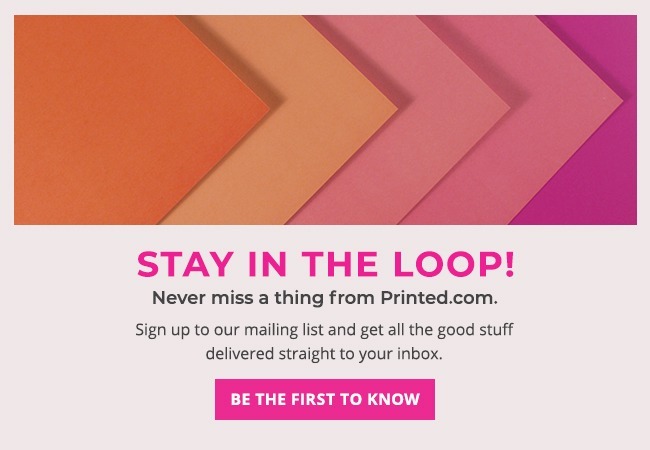 Welcome to the #ProudlyPrinted Year in Review! It’s our favourite time of the year! Tag us using #ProudlyPrinted and win £20!